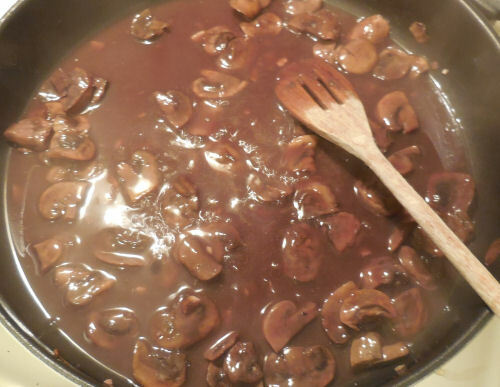 This recipe for chicken and mushrooms with a red wine sauce is so easy to do and delicious enough for any dinner party. Be sure to use a good quality red wine – choose something you would drink. It makes the dish so much more delicious than if you had used a cooking wine. The recipe is very easy to do. Perfect for a busy weeknight! First cook the mushrooms and garlic in olive oil. Push them to one side and add the chicken. Add the red wine and the chicken stock. Remove the chicken and add some cornstarch to water and add to the sauce to thicken it. 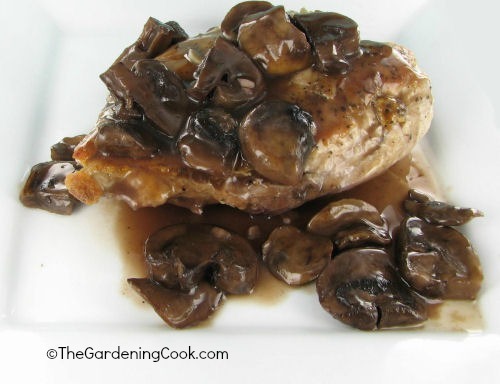 Serve the sauce with mushrooms over the chicken. 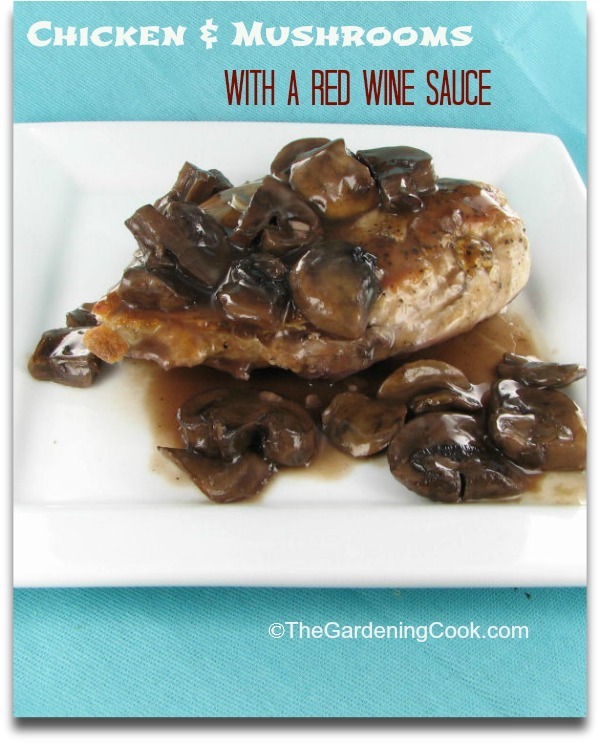 Be sure to use a good quality red wine for the sauce. It makes all the difference to the taste. Heat the olive oil in a large skillet over medium heat for five minutes. 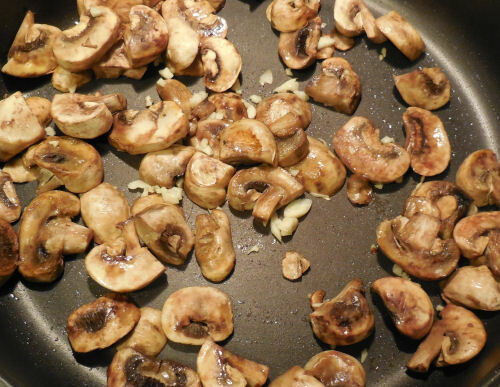 Add the mushrooms and season lightly with the kosher salt. Cook for 2-3 minutes, until the color just starts to change. Add the minced garlic and cook for another couple of minutes. Season the chicken on both sides with the Kosher salt and cracked black pepper. 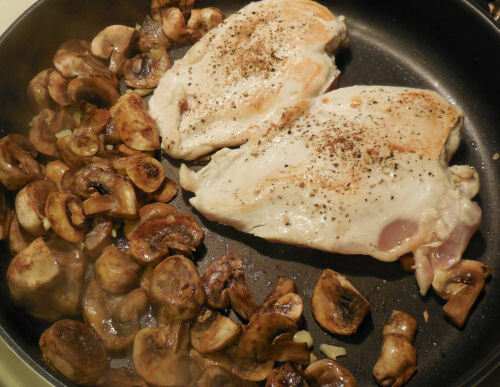 Push the mushrooms and garlic to one side of the skillet and add the chicken, and cook, for about 3 minutes per side. Add the chicken stock and wine. Cover and cook for another 15 minutes. Transfer the chicken to a serving plate and keep warm. Stir 1 tsp of cornstarch into the pan and cook the liquid until thickened. 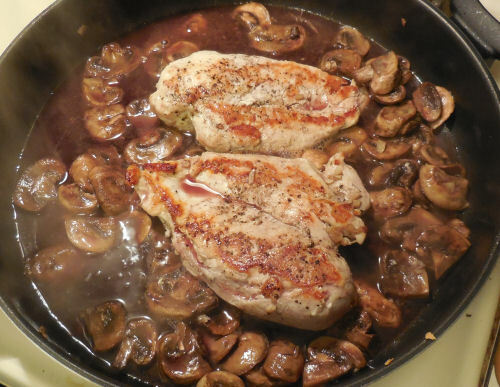 Spoon the sauce and the mushrooms over the chicken. Serve with pasta or a side salad for a delicious and easy meal.